The new brand of honey flavored cereal was released back in 2014, following the then recent trend of protein filled snacks, but today a class action lawsuit claims that the Cheerios Protein might have more sugar than originally advertised. The lawsuit was filed by the CSPI, the Center for Science in the Public Interest, a non-profit organization that took upon itself to regulate the well-being of US citizens when it comes to health and nutrition. This organization was founded in 1971 and is now one of the US top advocates when it comes to consumer rights. This brand of cereal has been advertised as a new option when looking for a protein rich diet, having 11g grams of protein per serving. The CSPI acknowledges this but says that the only reason this occurs is that Cheerios Protein has a bigger serving size than the original brand, the extra protein coming from the added cereal and milk. The recommended serving size is 55 grams, which is almost double when compared to the normal serving size of Cheerios which is 27 grams. The only large difference between the two is that this new brand has almost 16 times the sugar that the normal brand has. The added 4 grams of protein pale when confronted with the added sugar that children and adults alike are supposed to consume every breakfast with a normal serving of Cheerios Protein. According to the US FDA, a product can claim to have a healthy source of a specified nutrient if it has roughly between 10% and 19% of the daily intake recommended for a daily dose. This intake is supposed to be achieved by the Cheerios Protein brand only because of its 57 gram serving size, claims the lawsuit, the main problem being that it glosses over the fact that it has an abnormal amount of sugar when it is clearly not advertised as such. Mike Siemenas, spoke-person for the General Mills Company from which the Cheerios brand emerged, claimed that this lawsuit is only made for publicity sake, the CSPI filing it seeking only to establish itself as a more known establishment by attacking the brand. This might be true, but the fact that a 200 calorie serving of Cheerios (the normal brand) has only 2 grams of sugar while the Protein one has roughly 16 to 17 grams cannot be ignored so easily. The problem can be solved by simply adding this information on the box, thus solving the problem that Cheerios Protein has more sugar than originally advertised. Changes in sense of humor may suggest the onset of dementia, a recent study conducted by researchers at University College London has shown. The findings, published in the Journal of Alzheimer’s Disease, were based on questionnaires applied to families of 48 individuals affected by dementia, as well as to friends of these patients who had known them for over 15 years before the onset of the brain degenerative disorder. A large number of respondents claimed that they had witnessed an obvious change in their loved ones’ preferences for comedy and humor, years before dementia signs became more apparent. Individuals started to prefer slapstick comedy, characterized by farcical situations, crude practical jokes and emphasis on physical action (collisions, chases and violence). They were much more likely to prefer sketches featuring the Three Stooges and Mr. Bean or shows like MTV’s Jackass. On the other hand, their liking for other genres of comedy, such as satirical , ironic or absurdist varieties, was greatly reduced, in comparison with 21 healthy patients who were also included in the trial. Their humor also became “inappropriate and graphic”, as they frequently laughed without reason, when watching news about natural disasters or other horrific events. They also showed dark humor, finding it funny to witness people getting hurt or experiencing trouble. One respondent revealed that her relative had laughed without remorse after seeing her getting accidentally scalded, while another one recalled that her family member had found it hilarious that she was struggling to breathe due to asthma. Overall, those who eventually became affected by neurodegeneration were much more prone to laughing even in the most unlikely, unfunniest scenarios, and often admitted that they couldn’t actually tell why they found those stimuli so amusing. Also, individuals who had previously displayed a more mature or high brow sense of humor reverted to a more basic and boisterous type, which was actually extremely rude and offensive to others. These changes were particularly prevalent among patients who later developed one of two dementia subtypes. Some suffered from semantic dementia, which manifests itself as a progressive inability to recall words, faces, objects, while preserving memory of past events and future plans. Others were plighted by behavior-variant frontotemporal dementia, which makes patients overly uninhibited, apathetic, compulsive, and devoid of empathy towards others. There were also humor alterations among Alzheimer’s patients, according to their nearest and dearest. Based on these findings, study authors led by Dr. Camilla Clark suggest that friends and relatives who believe that their loved ones might be displaying unusual symptoms which affect their interactions with others should present this issue to a physician. Dementia is frequently difficult to diagnose, especially in the early stages, and its signs aren’t strictly related to loss of memory function, disorientation and impaired judgement, as some might be inclined to believe. People ought to pay attention to their daily intake of meat, especially when they fry or barbecue it. A new study, recently published in the Journal of Cancer, claims too much meat increases kidney cancer risks. The finding is in keeping with previous research indicating that consuming large amounts of meat could lead to various types of cancer. This time, however, scientists have discovered the factors behind increased cancer risks. The University of Texas in Houston has been involved in a new study regarding the influence of meat consumption on people. They have co-opted 659 patients suffering from renal carcinoma and 699 health individuals to take part in the study. Participants belonged to the non-Hispanic white group; therefore, it may be argued that a larger investigation has to be re-create again in the future for accurate results. Subjects were asked to provide detailed descriptions of their eating habits, particularly those related to meat consumption. At the end of the research, scientists have discovered that the more red and white meat people consume, the higher risks they run of developing carcinomas. The manner in which the meat is cooked also plays a significant part, researchers have concluded. It has been established that barbecuing and frying are the two most harmful activities when it comes to preparing meat. These cooking methods produce two carcinogens, namely, the MeIQx and the PhIP. Figures indicate that renal cell carcinoma (RCC) risks double when the meat is fried because MeIQx is released. The PhIP intake is 54% larger with barbecued meat; therefore, we may safely assume that cooking meat at very high temperatures is noxious. The American Cancer Society thinks the findings of the new study are very useful for patients suffering from this disease. Kidney cancer is not very common, but the risk of acquiring it rise to approximately 1.6 percent. Even though, this type of cancer is rarer than melanoma (2.1%), colorectal cancer (5 percent), prostate cancer (14%) and breast cancer (8%), statistics show that this disease is deadly. Medical experts do not prohibit patients to consume meat as this remains a healthy ingredient in our daily regimes, nonetheless. They are only asking patients to pay attention to their intakes and maintain a balance in respect to ingredients. Particularly patients, who have had kidney problems should be extra cautious when consuming meat. Junk food shouldn’t be demonized as obesity’s main factor, a recent study published in the journal Science & Practice is now claiming. Experts at the Food & Brand Lab at Cornell University, in Ithaca, New York, conducted this research, by reviewing data pertaining to approximately 5,000 people. The participants’ food consumption for a period of 24 hours had been analyzed during the National Household and Nutrition Examination Survey, led by the Centers for Disease Control and Prevention between 2007 and 2008. This information was cross-referenced with each individual’s body mass-index (BMI), which assessed weight based on height and gender. A BMI between 18.5 and 24.9 is considered to be normal, one between 25 and 29.9 refers to an overweight person, while having a reading of 30 and upwards suggests the person is obese. It was discovered that in fact being overweight isn’t that strongly associated with junk food consumption, although including such meals rich in sugar and fat isn’t the best option nutritionally speaking. People with lower BMIs have been found to consume more sweets and soda than those with normal weights, while overweight and obese individuals were proven to ingest fewer sugary products, salty snacks or fizzy drinks in comparison with those having average BMIs. Overall, preference for soda, fast food or candy had a statistically significant effect on body weight only for 5% of the participants, who were either chronically underweight or morbidly obese (with a BMI of 40 or more). In fact, having extra pounds was more closely linked to a heightened average daily calorie intake, coupled with lack of physical exercise. More precisely, Americans have been found to consume 2,544 calories every day in 2010, whereas in 1970 they only had 2,039 calories on a daily basis. Another factor contributing to the obesity epidemic is more significant intake of foods which promote weight gain. White bread daily consumption has increased from 409 calories in 1970, to 582 calories in 2010. Intake of added oil and dairy fats has also escalated from 346 calories to 589 calories, while sugar intake experienced a lower growth, from 333 calories to 367. “This means that diets and health campaigns aimed at reducing and preventing obesity may be off track if they hinge on demonizing specific foods”, declared David Just, co-author of the study, and director of graduate studies in the Charles H. Dyson School of Applied Economics and Management at Cornell University. This doesn’t mean that indulging in junk food won’t lead to packing on excess pounds. After all, these meals are indeed heavily processed and high in fat and sugar, but it must be kept in mind that other factors may be even more important when it comes to staying slim. As professor Just explained, in order to achieve the desired weight loss, people should reconsider their entire diet and eating habits, and focus more on their daily amount of physical exercise as well. Excessive attention given to reducing the intake of junk food consumed every day is counter-productive, if sedentary lifestyles are still the norm, or calorie consumption greatly exceeds the body’s needs. Another related aspect is portion control, by monitoring energy intake especially when dining out. A study published in the Journal Public Health Nutrition has revealed that calorie consumption rises by about 200 when going to restaurants or similar establishments, than when having meals at home. As a result, experts recommend opting for home-made lunches or dinners, served in smaller salad plates, in order to fight the temptation to have large servings. On the other hand, they emphasize that too much self-control while eating is also detrimental, because it can cause frustration, food anxiety and binge eating. Examining blood samples for dissolvable urokinase plasminogen receptors can estimate a person’s risk of suffering of a serious renal illness. These tests can be performed and have results with up to five years prior to the initial symptoms of the condition, according to the latest studies. 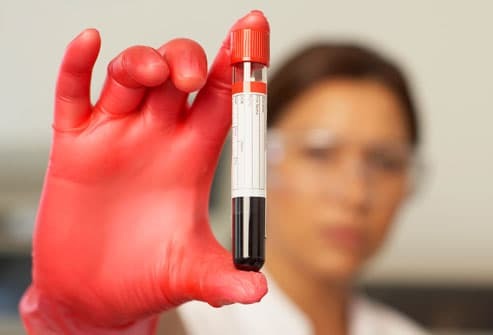 Doctors compare the physiological parameters of blood samples to the values that cholesterol levels now have in identifying the risk of cardiac arrest. Chronic kidney affections are found in more than 12 percent of Americans and cause more than 40,000 deaths every year. The majority of sufferers do not even know that they have a problem until the illness is in a critical situation. These symptoms of severe renal affections: urinating blood, swollen extremities and extreme thirst, usually do not appear until serious harm has been produced to various organs. The main indicators used for detecting these problems, evaluating creatinine values in the circulatory system and protein percentage in urine, help physicians to observe the affection, but tests are not accurate enough to detect the illness earlier or estimate the risk of its growth. The idea that high urokinase receptors show the further development of severe kidney affections in different communities indicates that this compound may be a focus for future therapies to enhance medical results for most of the sufferers who are at risk for renal complications later in life. Blocking these processes may be similar in their application to a use of compound inhibitors and receptor blockers that are some of the few substances accepted for therapies in kidney affections. Scientists examined kidney functions in more than 2,000 participants who took part in several tests between 2005 and 2015 with the average age of 60 and more than 55% of them were males. Members were tested for creatinine and enzyme values at the beginning of the analysis and in several follow-ups. The information revealed that 35% of people had high creatinine and enzyme levels, which did not suggest a chronic affection at that moment, but they developed a health problem in the next year. Only 10% of people with low levels suffered from this illness later in life. Even if these values alone can reveal the risk of having a kidney affection in the future, doctors said that other dangerous factors must be researched, and more analysis with bigger and different categories of sufferers will be required to improve the results for typical use. Maggie, the deer, showed up on the set completely unexpectedly. Megan Rion and her team of photographers were pleasantly surprised when a deer photobombed newborn photo session. Photographers were trying to carefully position the baby on a haystack and to prepare the lenses when they were suddenly interrupted by the unexpected deer. Children’s photos are always heart-melting, but they function even better when you add animals in them. This is what a deer must have said to herself when a team of professional photographers were trying to shoot a session in the wood for this year’s Halloween. Megan Rion and her team were too caught up in arranging décor pieces for the autumnal set. They have prepared a small haystack for the baby and carefully positioned the child on top of it. Lots of rusty leaves and pumpkin fruits were placed in the set, as well for a complete Halloween design. The camera started snapping pictures without anyone noticing that there was also a deer next to the child. The animal grew closer to the child, but her movements were, nonetheless, still gentle, so neither the baby, nor the camera crew got scared of it. According to local residents, the deer has been hand-fed, so it is already accustomed to humans. Seeing how peaceful it is, the team of photographers and the parents of the child allowed the wild animal to grow even closer to the one-month-old newborn. The album was much more popular than anyone ever expected. According to Rion, the album was posted on her personal Facebook page and it has immediately gathered approximately 1,300 shares. The mother of the child was truly thrilled to see the pictures. She has stated that the pictures look really genuine and that they preserve that element of originality that very few albums have. Conner’s mother was the one, who permitted the deer to grow closer to the baby and her decision was praised by her husband, who said that he loved the photo album. Maggie, as the deer is called, was initially shy and refused to look straight into the camera. Megan convinced her to look straight with the help of an ear of corn. People, who sleep uninterruptedly have a much better disposition. Researchers from the John Hopkins University School of Medicine have recently conducted a new study on the best sleep conditions. They have, thus, found out that it is best to avoid sleep interruptions for a good disposition. Many sleep studies were performed in the past and yet, we still can’t figure out what remedies to follow to get a good night sleep. Fortunately, researchers have gathered a group of 62 persons and asked them to take part in a controlled experiment. The 62 persons were in a very good health condition and they belonged to different age categories, scientists have confirmed. According to their explanation, the participants were asked to sleep in three different setups. The first night participants had to undergo forced awakenings, during the second night they went to sleep at a much later time and, finally, the third experiment allowed participants to rejoice uninterrupted sleep. The following days, participants were asked to fill out mood questionnaires, explaining how their mood changed based on the quality of the sleep. Scientists have compared the pieces of information and discovered that people are much more high-spirited when they can avoid sleep interruptions. Patrick Finan, the lead author of the study, has added that bad mood is usually common among new parents, who experience many awakenings during the nighttime. It appears that participants’ mood was significantly lowered when they suffered approximately eight awakenings per night. Similar results were observed when participants had delayed bedtimes. The majority of them had a very low disposition the following day. Participants confessed that they felt much better when they had slept uninterruptedly. Finan has explained that their good disposition was mainly caused by their ability to go through all the sleep stages, including the “deep sleep” one. This is the most important stage because the entire activity of the brain and the body is slowed and people can truly recover. It goes without saying that people, who cannot reach the “deep sleep” stage, will feel very tired. Finan has concluded, based on the new findings that the “deep sleep” stage is in direct correlation with people’s good mood. In his opinion, the sleep awakenings can be perceived as a different type of insomnia, because they produce more or less the same effects on participants. In the future, he plans to recreate the same experiments on patients, who regularly suffer from insomnia. The future studies could help scientists find a better treatment for sleep conditions. Type 2 diabetes patients may be divided into three distinct groups since the condition does not affect each individual the same way. In the study, the researchers looked at medical records of approximately 2,500 people with Type 2 diabetes, and analysed the data on the people’s health, genetic information, and symptoms. The findings showed that there were three distinct groups of people with the condition, and each group had different problems related to Type 2 diabetes. Joel Dudley, director of biomedical informatics at the Icahn School of Medicine at Mount Sinai Hospital in New York, said that there are statistically significant differences between Type 2 diabetes patients. According to the Centers for Disease Control and Prevention, Type 2 diabetes is present in about 90 to 95 percent of the 29 million people in the United States who have diabetes. In patients who have Type 2 diabetes, the body is unable to produce insulin, which leads to high levels of blood glucose (sugar). Those who are overweight or obese, those who do not exercise enough, as well as people of older age have a higher risk of developing Type 2 diabetes. The researchers made some connections based on the patients’ similarities to one another. Someone with kidney disease and a high body mass index (BMI) would be connected to another patient with the same characteristics. Three different groups were then put together by the researchers called: subtype 1, subtype 2, and subtype 3. Patients in the first group (subtype 1) were younger, had kidney disease, a higher risk of obesity, lower counts of white blood cells, and retina problems. Those in the second group (subtype 2) were less likely to be obese, had lower boxy mass indexes (BMIs), and had a higher predisposition to heart disease and cancer. In the third group (subtype 3), the patients had an increased risk of allergies and mental illness, and many of them suffered from heart disease. “If you’re in the high-cancer-risk group, maybe I’m cutting in half the time between [cancer] screenings,” Dudley stated. If these findings can be confirmed for other Type 2 diabetes patients, that may help doctors offer new ways to manage the condition, depending on which subtype (1, 2, or 3) the patients belong to.